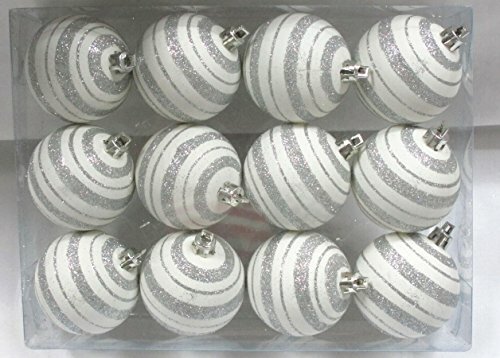 These traditional 2" silver and white ball ornaments are a classic for any home or business. 12 pack contains 2" ball ornaments, each with glitter line design. Dangle these ornaments from ceilings, trees, or your porch. These shatter resistant ornaments will create a warm, festive tone in any area.